Help your child connect with nature, be adventurous and most of all have fun, with these woodland games, crafts and other activities from Forest School. The rise of the Forest School movement in recent years is part of a groundswell of concern about the wellbeing of our children, with many media scare stories about child obesity, "nature deficit disorder" (as described in Last Child in the Woods) and lack of exposure to risk. This woodland adventure book brings the activities and--learning through nature--ethos of Forest School to the parents of nursery and primary school-age children. 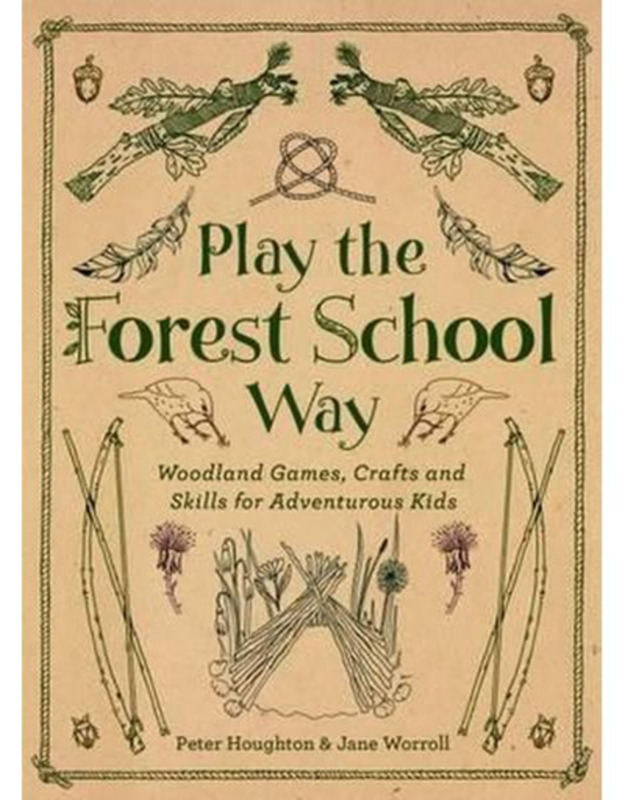 It's packed full of ideas, from making nature jewellery and whittling a bow and arrow to building a shelter and foraging for food; it also celebrates the Forest School philosophy of encouraging self-esteem, confidence and social skills through engagement with nature. 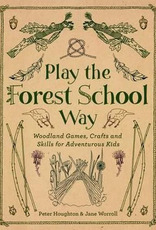 As well as sharing Forest School's brilliant ideas for activities, this book encourages parents to follow aspects of the Forest School approach in the way they handle play sessions; in, for example, getting adults to engage actively while being careful to let the kids lead; in framing sessions with small rituals). Activity variations target different age groups, and there are ideas for small groups (for play dates, for example, or children's birthday parties) as well as things to do with just one or two children. While the book is aimed at parents, who are encouraged to guide the play, the activity instructions are written in a simple style so that children can read them too, and the illustrations are also intended to be enjoyed by children. With a fun, child-friendly design, this book offers an immersive experience for all the family. The book is designed to be robust enough to withstand outdoor handling while also being attractive as a gift for "green" parents, with charming illustrations and a retro design that together create a magical feel and chime with the back-to-nature content.